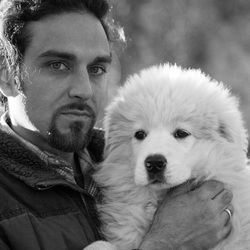 James R. Veteto is Assistant Professor of Anthropology at Western Carolina University, Executive Director of the Appalachian Institute for Mountain Studies, and Past President of the Culture and Agriculture Section of the American Anthropological Institute. He has done extensive research on agricultural biodiversity and climate change in southern Appalachia, the Ozarks, and Northwest Mexico. Dr. Veteto is an avid heirloom gardener, orchardist, and permaculture practitioner. Renee Boughman is the Executive Chef of F.A.R.M. Cafe and has been with this hybrid non-profit since the beginning when the cafe opened in May of 2012. Prior to her work with F.A.R.M. Cafe, Renee worked as a Chef in fine dining restaurants including The Best Cellar at The Ragged Garden Inn and Rowland's at Westglow Resort & Spa. She has lived in the High Country since 1982 when she attended Graduate School at Appalachian State and received a Master's Degree in History. Of all of the restaurant work that Renee has enjoyed she believes F.A.R.M. Cafe has truly been "a calling" because it has allowed her the privilege of working with those in need and sharing nutritious cuisine with the "friends" who eat at the cafe everyday! 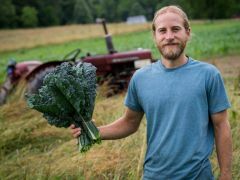 Jon Fannon is a 6th generation Watauga county native and a farmer focusing on sustainable agriculture techniques as well as building a stronger local food system throughout the high country. He grew up being heavily influenced by his grandfather Ewing who farmed mainly tobacco which he was able to help with as a young boy. Jon has lived in Idaho for about half of his life where he worked for over a decade in the food service industry as a bartender as well as general manager of several restaurants. He moved back to his family farm about 5 years ago to pursue farming as a career and to restore his great grandparent's home place which had fallen into disrepair after not being lived on or farmed in about 40 years. In 2012 he started his company Western Organic Wasabi & Sustainable Agriculture "W.O.W.S.A." and currently sells product to local restaurants, individual consumers, as well as New Appalachia Food distributors who delivers to restaurants throughout most of western North Carolina. Jon also operates an eBay store and ships day old ducklings, duck hatching eggs, and other farm products nationwide through his website www.wowsafarm.com. Jennifer Greene currently serves as the Deputy Health Director at Appalachian District Health Department –a public health agency serving Alleghany, Ashe, and Watauga Counties and federally qualified health center serving Alleghany and Ashe Counties. In her role, Ms. Greene works alongside team members to fulfill the department’s mission of promoting safe and healthy living, preventing disease, and protecting the environment. Greene has led multiple community driven initiatives designed to create a healthier community. She has received several local awards and has been recognized by the North Carolina Public Health Association as a Watson S. Rankin Award recipient for outstanding contributions to public health in NC as well as the Southern Health Association’s Charles G. Jordan Memorial Award for contributions to public health in the southeastern region of the United States. Greene received an undergraduate degree in Health Promotion from Appalachian State University and Masters in Public Health degree from Des Moines University’s Osteopathic Medical School. She considers herself a local and has a passion for local food initiatives. a food outreach program that addresses food insecurity in rural Watauga County. Allison believes that all individuals should have access to fresh and affordable locally-sourced food, regardless of income. 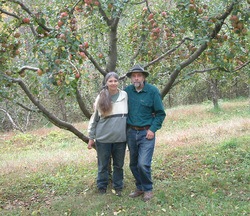 Ron and Suzanne Joyner are the sole owners and operators of Big Horse Creek Farm, a small, off-grid farm/orchard/nursery operation located in the beautiful High Country of Ashe County, in northwestern North Carolina. The ongoing mission of Big Horse Creek Farm is to find, collect and propagate American heritage apple trees, increase public awareness and appreciation for these American treasures and reintroduce these historic apples into the public domain for all to enjoy again. Jacqui Ignatova joined the Goodnight Family Sustainable Development Department in the fall 2015 and teaches courses on food, technology, and global environmental politics. 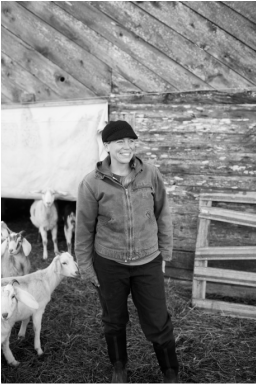 She is also a board member of Blue Ridge Women in Agriculture. 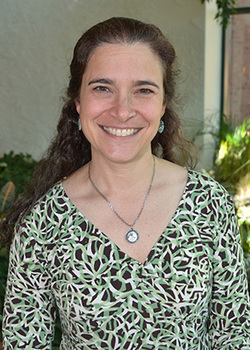 Jacqui received her PhD from the University of Maryland, College Park in Government and Politics with an emphasis on global environmental politics and food politics. Her book manuscript, Seeds of Contestation: Genetically Modified Crops and the Politics of Agricultural Modernization in Ghana, explores the debate over the cultivation of genetically modified crops in Africa, drawing upon Fulbright-supported fieldwork in Ghana. She is interested in the local food and food sovereignty movements that have emerged in resistance to the global industrial agricultural model that threatens socio-cultural biodiversity and farmers' livelihoods. She is very happy to have moved to beautiful Boone and enjoys being a part of such a vibrant community. 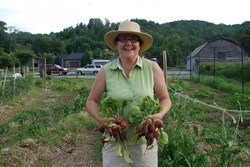 Debbie Bauer is on the board of Blue Ridge Women in Agriculture, Garden Manager for the Sustainable Development Civic Garden Project (Edible Schoolyard) at Appalachian State University, and Garden Coordinator at Bethel Elementary School. Debbie has gardened for most of her adult life and her passion is teaching children and young people how to grow their own organic food. 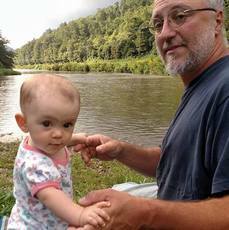 Since 2001, Richard Boylan has worked as an Area Extension Agent with growers in the area of the New River Headwaters (primarily Ashe and Watauga Counties) to grow opportunities for diversified and sustainable agriculture. Highlights and successes have included one-on-one work with local farmers to begin organic vegetable production, pastured livestock marketing, low-input fruit production, mushrooms, medicinal-herbs, and other innovative crops and marketing strategies. Prior to beginning work with NC Cooperative Extension, Richard earned a B.S. in Environmental Science from Antioch College in 1993, and an M.S. in Environmental Science from the State University of New York, College of Environmental Science and Forestry in 1997. He led the 1994 Antioch College Environmental Field Program that focused on the Mississippi River system, worked as Project Coordinator for Ocean Arks International from 1997-1998, and managed the 220 acre edible/medicinal/wild/Permaculture landscape of Heartwood Institute from 1999-2000. Matt first came to Boone from Nashville, Tennessee, in 1999 for school. He received two degrees from ASU and considered a third, but this time he opted out of the diploma route and headed for an experiential one. Having become interested in renewable energies and agro-ecology, he spent six months in New Zealand working on 12 different farms through the WWOOF (World Wide Opportunities on Organic Farms) program. When Matt came back to Boone, he continued on his personal path while tryingto teach others as well. At age 24 he started the Leola Street Community Garden, by the Wal-Mart in Boone. After that he started farming his leased land off Dutch Creek Road, got involved with FIG (Farmer Incubator and Grower) Farm and, finally, found a place for his family to call their own. So far they have an acre plowed and the house built – a huge undertaking. In Valle Crucis Matt’s been growing a variety of vegetables organically – garlic, two kinds of kale, swiss chard, winter and summer squashes, collards, onions, peppers, specialty pumpkins. The plan for their land is to keep that going and add to it. Matt is passionate about healthy food and sustainable agriculture. Carol Coulter is the Executive Director of Blue Ridge Women in Agriculture. A New York native, Carol moved to Ashe County in North Carolina in 1995, after having worked in outdoor/leadership programs at UNC Charlotte and the NC Outward Bound School. Previously, Carol served as an administrator for the Ashe County Partnership for Children and as operations manager for the National Committee for the New River. 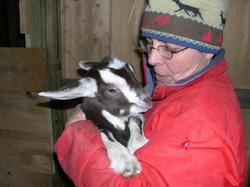 Carol co-owns Heritage Homestead Goat Dairy with her husband Lon. Dr. Jeremy Ferrell is an Assistant Professor in the Department of Sustainable Technology and the Built Environment. His academic training is in natural resource management and biosystems engineering. His Lunch & Learn session will focus on the NEXUS project at Appalachian, whose goal is to reinvent the heated greenhouse by using on-farm biomass resources and solar energy to create season extension inside a conventional hoop house with minimal fossil energy use. 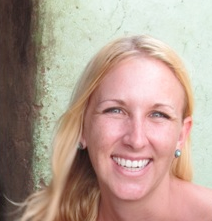 Brooke holds a Master of Science in Sustainable Systems with an Agroecology focus from Slippery Rock University in Pennsylvania. 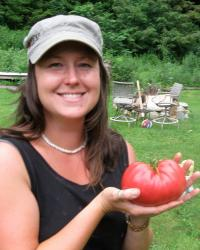 Her interests include local sustainable food production on both large and backyard scales, local food systems, and permaculture. She has taught within the SD program and managed the SD Teaching and Research Farm since 2008. Brooke is a Returned Peace Corps Volunteer, having served in Malawi, Africa, where she partnered with the Ministry of Forestry, taught secondary school agriculture courses, and promoted sustainable agriculture practices at the village level. As a graduate assistant at Slippery Rock University, she lived and worked at the Robert A. Macoskey Center for Sustainable Systems Education and Research, an 83-acre sustainable demonstration site. Her thesis work involved on-site forest garden research and design. She has taught "Principles of Sustainability," "Agroforestry and Farm Forestry Systems," "Soils and Soil Fertility," "Permaculture", and "Agroecology Practicum" within the ASU Sustainable Development program, and "Edible Schoolyard" within the Watauga Global Community, as well as on-farm classes, internships, labs, and community workshops. 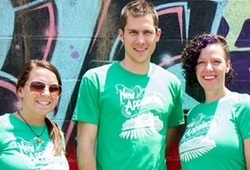 Brooke also enjoys working with local non-profit groups whose efforts aim to strengthen the local food system. Carla Ramsdell is a lecturer in the physics and astronomy department at Appalachian State University. She is passionate about bridging the gap between scientific research and the general public in the areas of climate change, energy generation, and efficient cooking strategies. She has a BS degree in physics from Stetson University and an MS in Mechanical Engineering from The University of Florida. She spent 17 years in industry working as a licensed thermodynamic engineer in the energy industry. Since 2008, she has taught courses at Appalachian State including introductory physics, pre-engineering, energy and sustainability, and energy efficient cooking. Her research and outreach work is focused on sustainability and how our habits are affecting the earth’s energy balance, particularly our cooking methods and the food cycle. Know Watts Cooking – The Science of Energy Efficient Cooking - This table conversation will be a lively discussion about the best way to prepare food with our earth in mind while building strong communities. Sustainable food procurement and preparation depend on connections between water and energy. We will discuss the science of cooking as it relates to basic thermodynamics and discuss methods that can reduce our energy use while producing delicious, nutritious meals. We will also discuss strategies to build community resilience through shared meals. 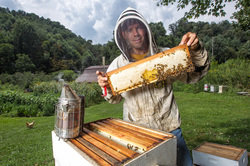 James Wilkes is a beekeeper, farmer, college professor, and entrepreneur. He owns and operates Faith Mountain Farm, a family farm (wife and eight children) that includes about 100 honey bee colonies, a baking operation, cut sunflowers, pastured poultry, eggs, and produce. His paying job is a Professor and Chair of the Department of Computer Science at Appalachian State University in Boone, NC. In this role he is also the Information Technology Lead for the Bee Informed Partnership. 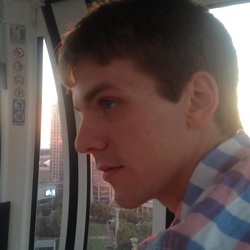 Lastly, James is co-founder of Hive Tracks, a record keeping software system for beekeepers.